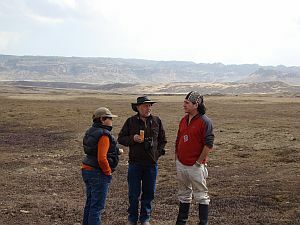 A unique expedition in to the world of Ethiopian wolves and rare opportunity to experience conservation biology in action. 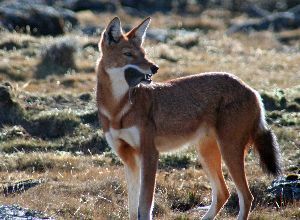 Join Claudio Sillero and the Ethiopian Wolf Conservation Programme team watch wolves and collect vital research data. Participating in this expedition financially supports the research work of EWCP and the survival prospects of this endangered species. On this 8-day expedition to the hinterland of Bale, Prof. Claudio Sillero will share with you many of the secrets of these remote, wild mountains. Wolf watching is done on foot, horseback (no previous riding experience required) and in 4×4 vehicles. You’ll travel through mountain valleys amid giant lobelias and get close and personal with the wolves. You will be camping at EWCP’s research huts and in the wilderness (alternative 4×4 and hotel-based option is possible). Whilst this is a fully catered and portered trek and the camping is made as comfortable as possible, it must be appreciated that living in the wolves habitat requires a reasonable level of fitness and a spirit of adventure. You will be trekking on foot and horseback in remote mountainous areas up to 4,200m. 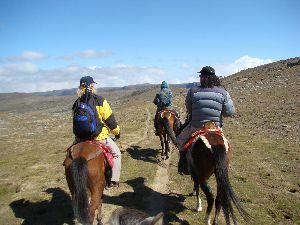 Anyone unable or not wishing to traverse the Bale Mountains on horseback can do an alternative 4×4 and hotel-based option for 2 nights. Landscape Tiger Programme in central India and the Transfrontier Conservation of Andean Cats project in South America. Claudio is a passionate conservation biologist actively committed to mitigating wildlife-human conflict through hands-on initiatives – the Ethiopian Wolf Conservation Programme is a prime example of this. The scenery is spectacular, wild and varied with lava flows, dramatic granite outcrops, Afroalpine moorlands, Afro-montane forests, escarpments and high alpine plateau. 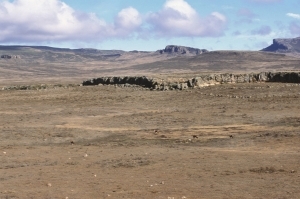 The Bale Mountains are the largest mountain plateau in Africa (“the roof of Africa”) and home to the rarest African carnivore and the only wolf in Africa. Fewer than 400 wolves remain in a handful of mountain enclaves, and more than half are found in the Bale Mountains. 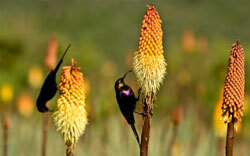 The Bale Mountains are a vast wilderness area with no tracks and a pristine but fragile environment. Only a few Oromo families can be found living in isolation up on the plateau. The Bale Mountains are best visited during the dry season from November – February when the days are normally clear and warm and nights can be frosty. 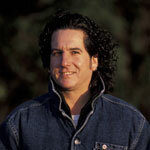 On the Sanetti Plateau sleet and snow is possible. Temperature will fall with increasing altitude and at night and could vary between +26C and –15C. At this time of year the Helichrysum, everlasting flowers of the Afroalpine area and the Hagenia and Hypericum trees are in flower, the wolves have their pups and so there will be lots of wolf social behaviour to observe around the dens. International flights can be arranged to suit individual preferences. If flying from London we recommend the Lufthansa flight via Frankfurt or direct on Ethiopian Airlines. We recommend departing the USA flying direct from Washington DC to Addis Ababa on Ethiopian Airlines. Ethiopia is a fascinating and beautiful country waiting to be discovered. Extend your trip and visit the unique Omo tribes of the South, the bird-rich lake district and the wonderful rock-hewn churches at Lalibela. All images courtesy of A L Harrington, Nancy Gibson & Prof. Claudio Sillero.